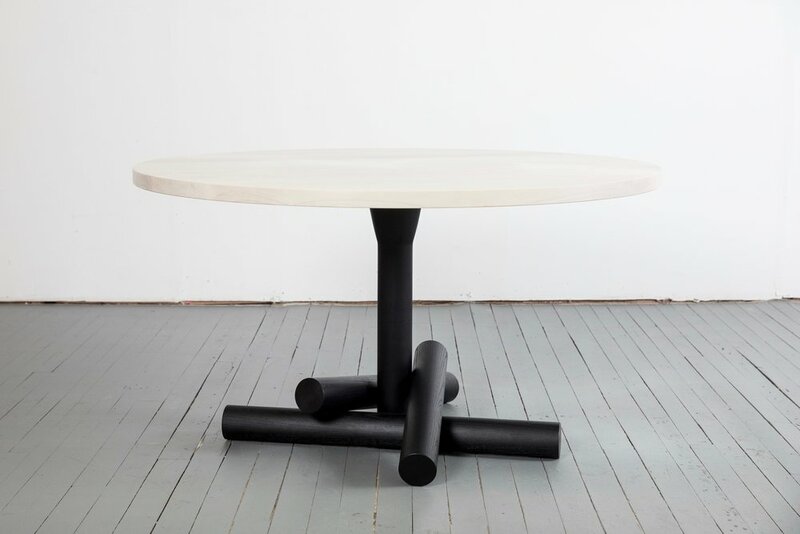 I had designed a table with a three point base some years ago and thought it was time for a contemporary reboot. I took my inspiration from the humble campfire (incendio meaning ‘fire’ in Italian) which after many camping trips in my life holds very rich memories. 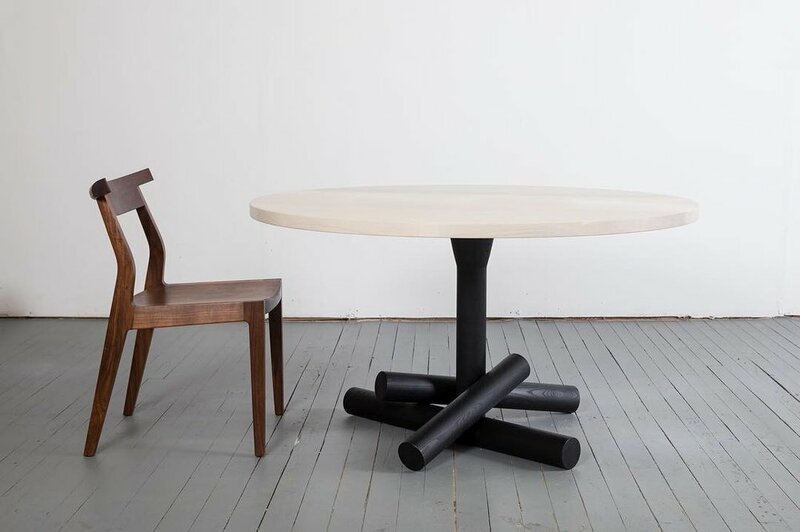 However, unlike a campfire where logs are casually stacked across each other, there was nothing casual about the designing of this table base. 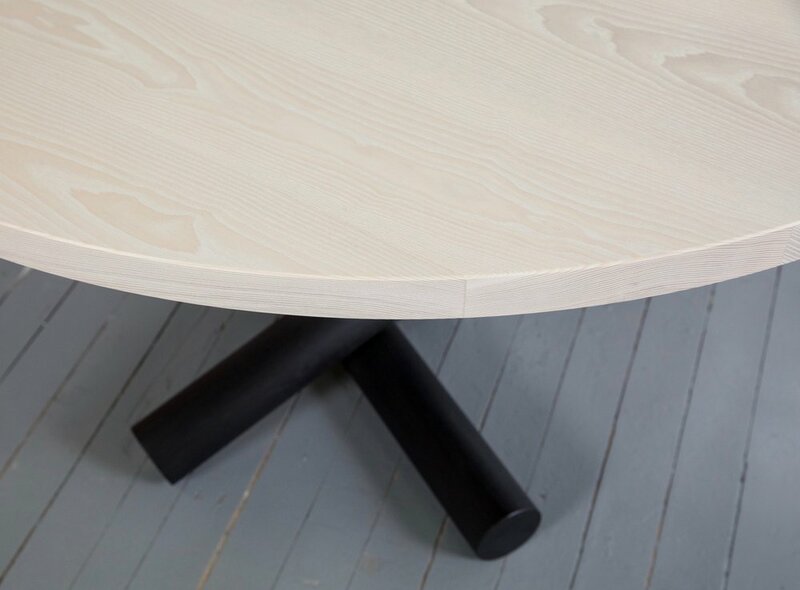 In fact the engineering of the joinery had to accommodate for both the stability of the table as well as the aesthetic. It was the perfect partnership of these three elements which, in the end, created the illusion that the pieces, barely touching, lay effortlessly in place. Many drawings and scale models later I was able to create just what I had envisioned. Plans are in the works for a coffee table version with smoked glass and a long dining table (which will require further careful design work).